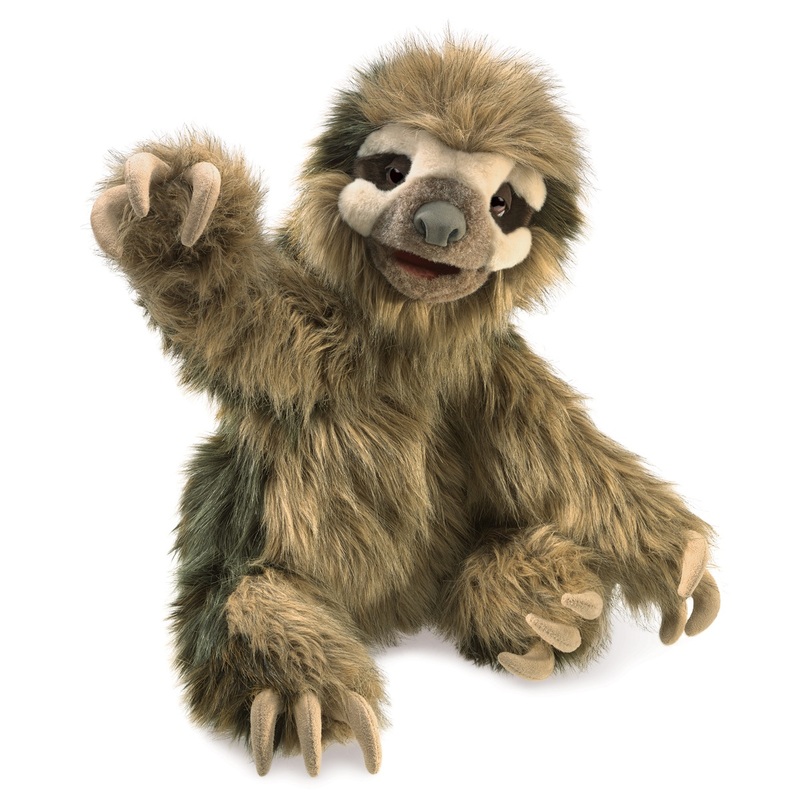 This three toed sloth puppet was released in 2018. 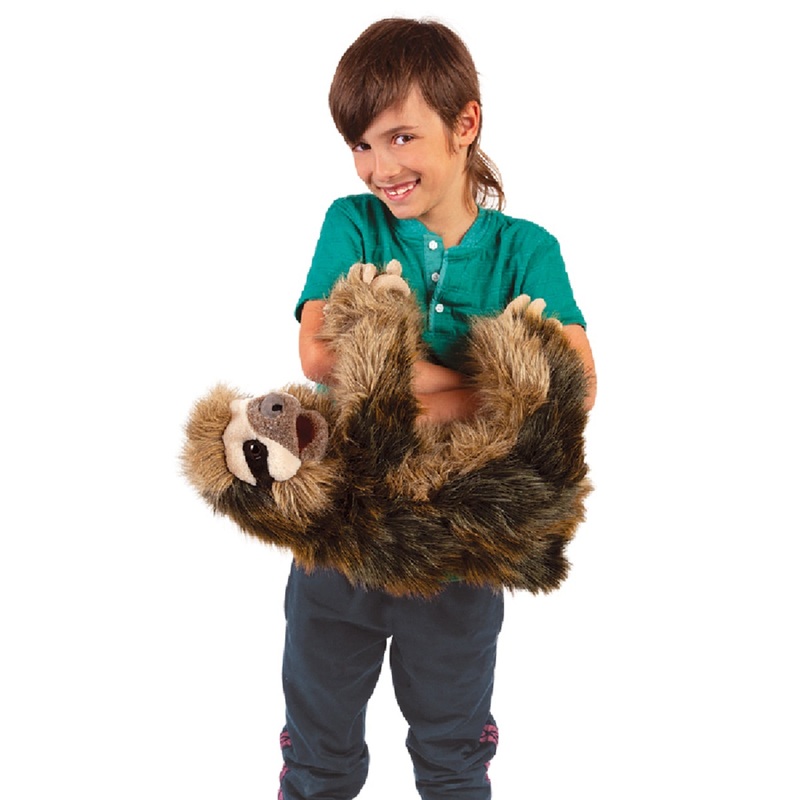 This new three toed sloth puppet complements the smaller sloth puppet that we have. 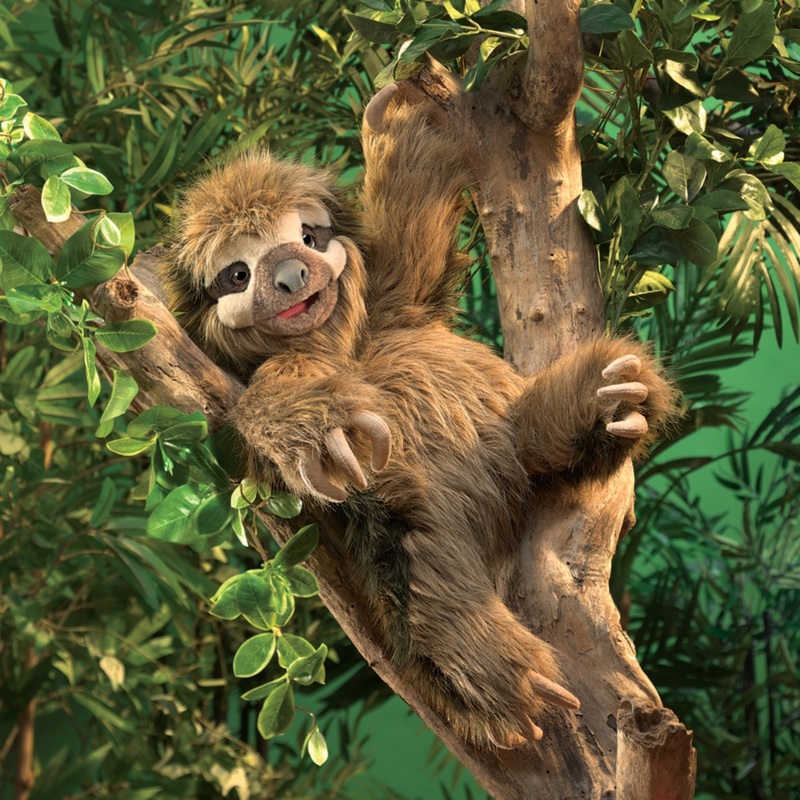 This sloth also has movable arms and mouth and the arms and legs have magnets to let them hang on things. 13 inches long, 10 inches wide and 20 inches tall (33.0 x 25.4 x 55.8 cm).